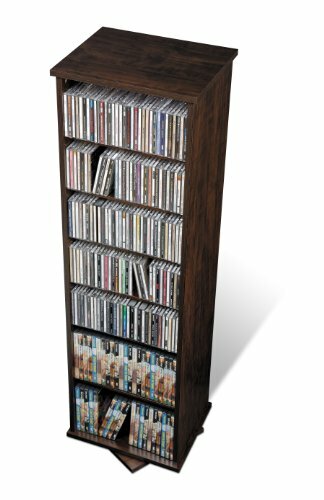 Store and access your media collection with ease thanks to our 2-Sided Spinning Tower. This versatile unit spins effortlessly, making it easy for you to get at your collection from both sides. Occupying just over one square foot of floor space, it's perfect for collectors with small spaces. With thirteen adjustable shelves, sorting, filling and rearranging your collection has never been simpler. Start your collection right with this functional piece.